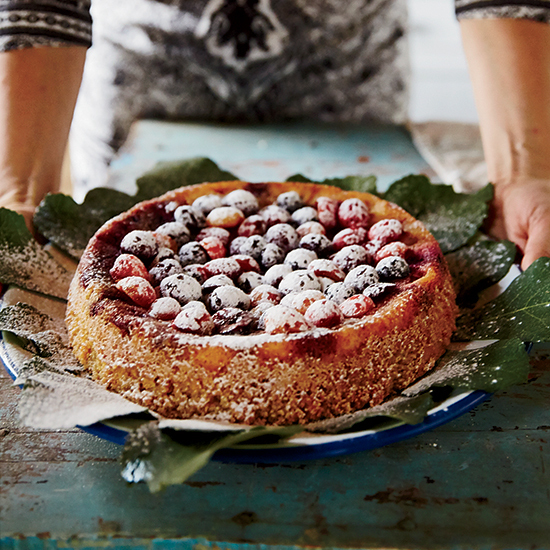 From an incredibly moist almond-plum cake to a buttery cornmeal-almond cake, these amazing desserts fulfill all your sweet almond cravings. 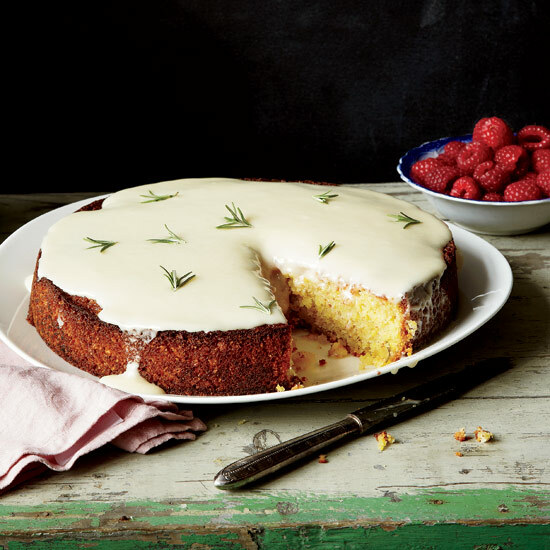 There are two tricks to give this cake its rustic, nutty texture: Grind whole, skin-on almonds instead of using almond flour, and add a bit of polenta to the batter. 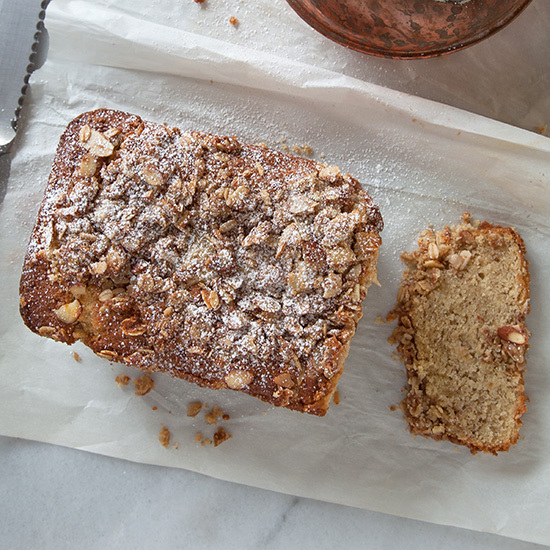 This cake has a remarkable, light texture and an intense almond flavor. 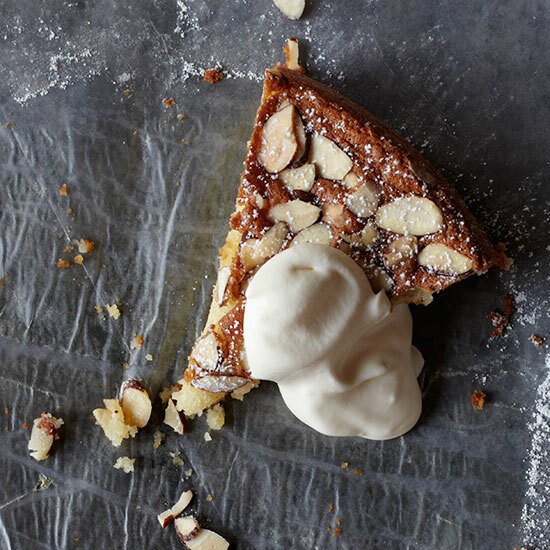 For the recipe, use a high-quality almond paste that's at least 66 percent almond. 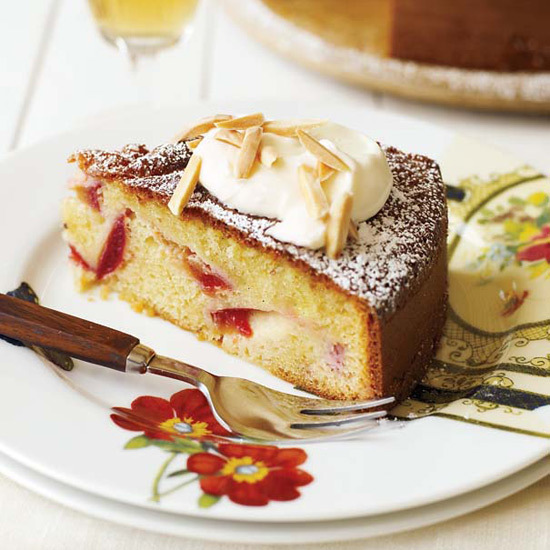 For this incredibly moist almond cake, try to use the very best just-picked plums, which sink into the batter as they cook. This food processor cake is moist and tender. 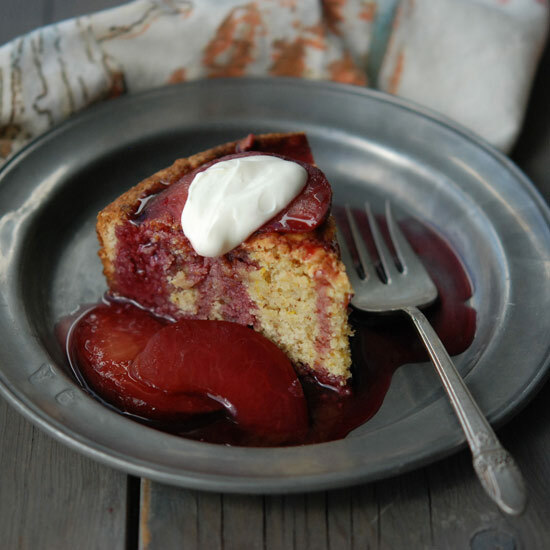 Before serving, the cake is brushed with whiskey-laced syrup, then covered with jam-flavored fruit and served with sour cream or creme fraiche. 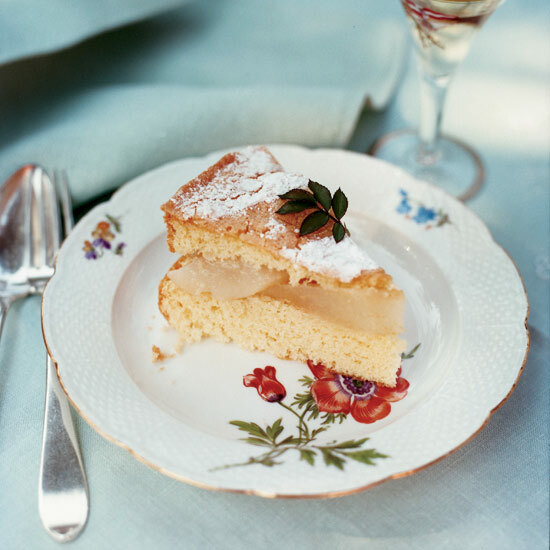 This basic sponge cake is baked with fragrant almond flour, split in half and filled with a layer of tender pears. Cooked in butter in a covered pan, the pears steam in their own juices, releasing a syrupy sauce all their own. Josiah Citrin adds a twist to traditional molten chocolate cakes by stirring in sliced toasted almonds. This buttery cornmeal cake contains more than a half-pound of toasted almonds, giving it an excellent, nutty flavor. 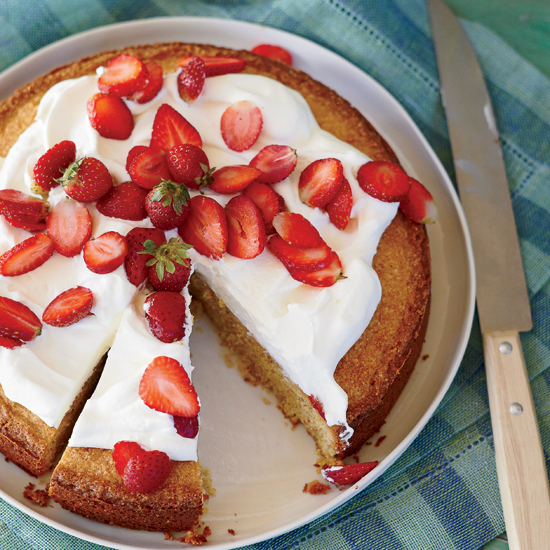 Instead of using plain whipped cream as a topping, the recipe calls for a combination of cream and mascarpone for a bit of tanginess. 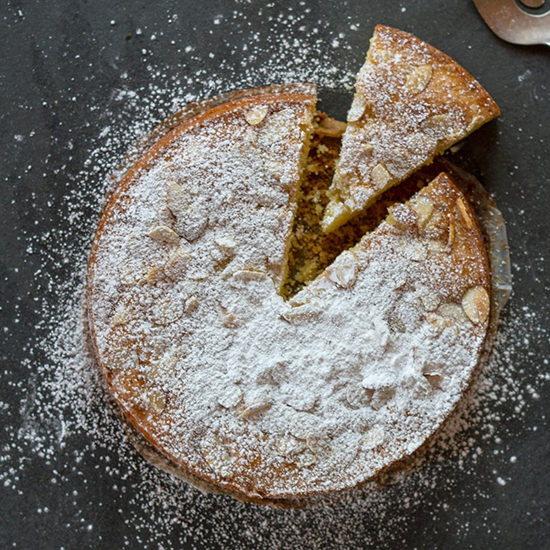 Serve this very moist almond cake with a dollop of sweetened creme fraiche.